We’re so excited, it’s finally here! We’ve got a new design for Eating Richly Even When You’re Broke! Eric and I have been wanting to do a site redesign for about two years now. We kept trying to save up to hire someone, since the last site redesign nearly ended our marriage. Not actually, but it was quite the lesson in communication and unmet expectations. Finally we decided that we had three more years of experience under our belts, both in blogging and in marriage, and that everything we saved kept having to go to fun things like plumbing emergencies, and it was just time to do it ourselves. One goal for this redesign was to update the look, which was kind of a dinosaur of a food blog. We also wanted to adapt to mobile devices, since the top five devices you all are viewing our site on are tablets and phones rather than a computer. That’s a big change from three years ago! I really love cute kid food. It’s something I did a lot with my mom when I was a child, and with kids I babysat, and I’m getting back into it now that our son Corban is two. Since so many of you are also feeding little kids, this feels like a great fit for Eating Richly, so you can expect more cute kid recipes in the future. We know people love videos, and they are a lot of fun to make too. While we aren’t able to make a video for every post yet, we are trying to at least do a couple each month, and they’ve been a lot of fun. Our latest video is for making whiskey ice balls out of Easter eggs! I’m actually working on a series of digital cookbooks specifically to meet the nutritional needs of breastfeeding moms. So you can expect to see some more recipes like lactation cookies and quick guacamole. They are recipes that are quick to make and easy to eat with one hand, and easy to adapt to any issues your baby may be having with your diet. But they’re also recipes that the whole family can eat and enjoy. We’ve been building our newsletter subscription list and are ready to start connecting! Our first newsletter is coming out this week. The newsletters will help you keep up with what’s happening on the site, but will also contain personal stories and photos that aren’t on the blog, they’re just for our Eating Richly family. Be sure to sign up to receive it (we hate spam, promise!) 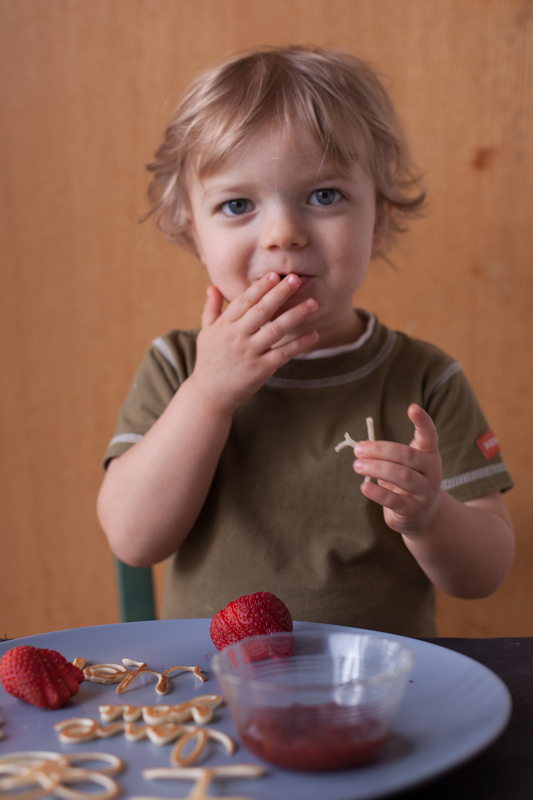 and you’ll also get a pdf of five quick, cute, and healthy kid snacks. So take a look around the new site and let us know what you think. We’re so glad you guys are here and would love to hear from you. Feel free to send us an email to let us know about any bugs you spot (eww bugs!) or just to say hi. Reading your comments and emails are a highlight of our day!